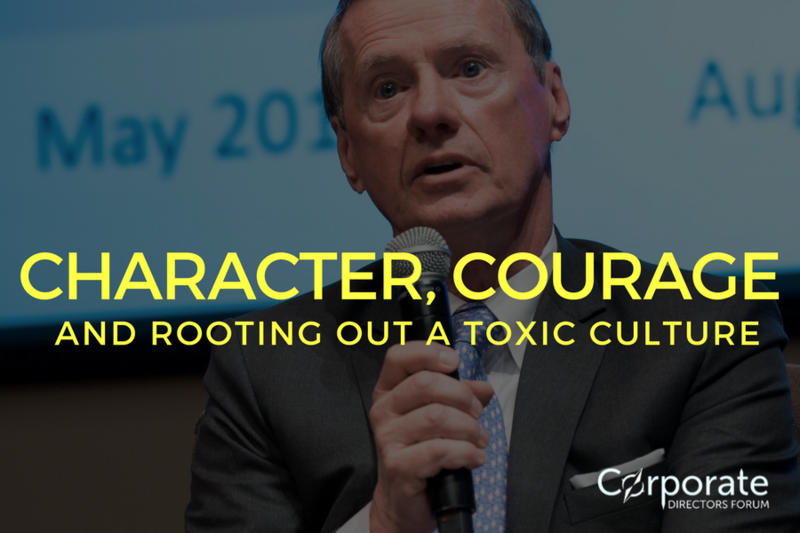 What can “Win at all Costs” cultures like Wells Fargo and Uber teach us about dangers to watch for in performance-based cultures? Michael Berthelot, Director of Fresh Del Monte Produce Company, and Adjunct Professor at UCSD’s Rady School of Management had two of his current grad students dive into the timelines during the falls from grace of Wells Fargo and Uber. In this podcast, Michael identifies warning signs and ways to discover what’s really happening when upper management doesn’t want you to know! How people treat each other? Do they seem proud to work here? Do they look you in the eyes or look away? What’s the story behind unclear situations? How has it been resolved? What are news articles or unbiased third-party publications posting about the company and are they discussing problem areas? Listen to the recording below to hear more actions that Board Members and Leaders can take to be sure they are getting the unedited reality of what’s happening in their companies. Listening time: 23 min 49 sec.